It is scheduled to "go live" later this year and will include advanced features, updated video and media selections, and a completely new design. For basic information regarding future Dramantiks® Youth Workshops and Summer Productions, please feel free to browse this site in the meantime. The Summer Production Ticket Order Form is currently offline! 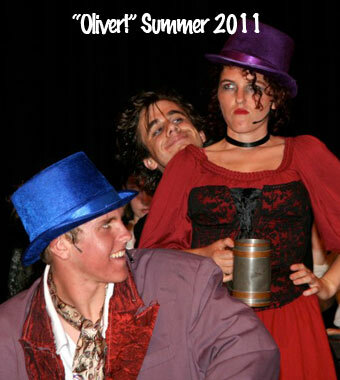 "Oliver!" 2011. The pensive Nancy, reviews her situation as Bill Sykes (Matt Gallupo) and Artful Dodger (Tim Semenza) look on.